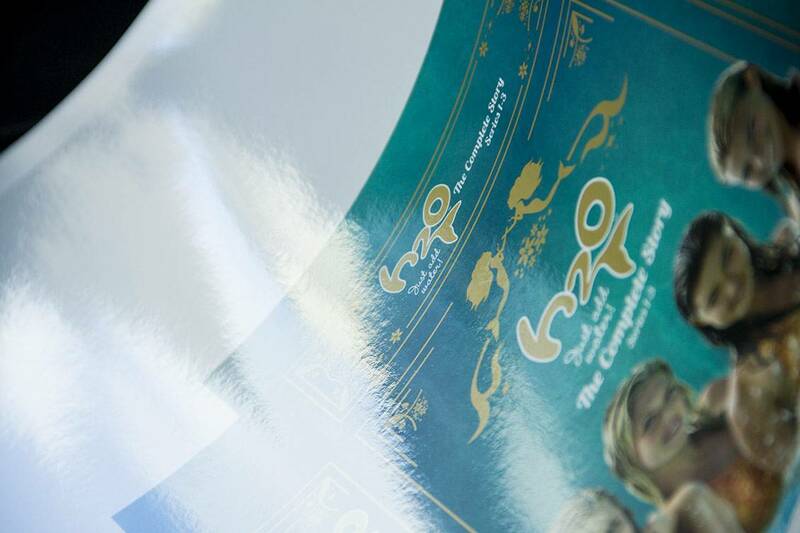 KeyKote is a full, deep gloss lamination which is strong, durable and more readily printable after lamination. The other benefits of KeyKote include glueing with most PVAs and Hot Melts. It may not look different to PlastaKote but it brings film lamination within the boundaries of all users. 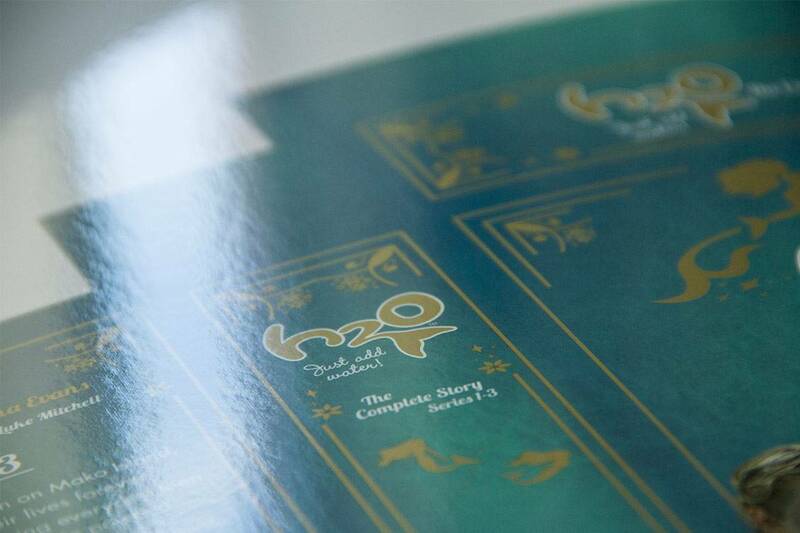 Very popular in the packaging world is KeyKote in that it allows the foil stamping and embossing processes to take place after being laminated to the sheet. Another strength is in protection, when printing dark colours on a box or carton you notice cracking during the scoring or folding process then use KeyKote this will eliminate the problem while still allowing the carton or box to be glued. KeyKote is also available in Matt. Please note KeyKote Matte is ordered as required. Ensure your inks are dry before we laminate otherwise set off, scuffing and marking can occur. Its advised that if you haven’t glued KeyKote in the past testing is always advised. Different companies use a variety of glues, hot melts and PVA so always be a step ahead with running some tests. Always send a marked up sheet showing the grip and lay. Colour stability is critical in the lamination process so please ensure you discuss your requirements with your ink and paper suppliers as to the suitability for this process. Don’t fall into the trap of trying to glue film to film when running any lamination including KeyKote. Most glues, hot melts and PVAs will have difficulty in promoting a satisfactory bond. Once again we recommending testing. Don’t use excessive spray powder as this will effect the overall quality of your job. Don’t apply any varnish , primer or aqueous varnish unless its approved by your supplier for the lamination process. (we welcome testing in these instances to ensure quality results).